This young lady had 1,834 grafts placed in her hairline. This level of density and naturalness can be accomplished when performing hair transplant only on one person per day, which is Dr. Behnams philosophy. Left view. 1,834 grafts placed at the hairline. Procedure performed by Dr. Sean Behnam. Front view. 1834 grafts placed in one session. This level of naturalness is achieved with the highest level of attention to detail, surgical skill sand artistry. Procedure performed by Dr. Sean Behnam. The is the same patient as above, but with different before picture. Its important to point out how natural the hair transplant looks. Procedure performed by Dr Sean Behnam MD, Santa Monica, CA. Ludwig class 3 hair loss. Results after one year. This patient had 1,806 grafts placed in the front and mid scalp all in one session. 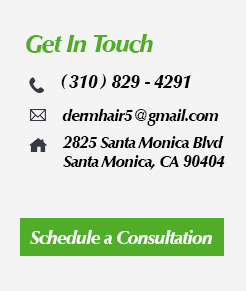 Procedure performed by Dr. Sean Behnam MD, Santa Monica, CA. This patient has Ludwig class 3 hair loss. She had 1,830 grafts placed all in one session. Grafts were placed in the front and mid scalp. Side view. Performed by Dr. Sean Behnam MD, Santa Monica, CA. Ludwig class 3 hair loss. This patient had 1,560 grafts placed in the mid scalp in one session. Left is before the procedure and right is one year after. Performed by Dr. Sean Behnam MD, Santa Monica. This woman had 1935 grafts placed in the frontal and midscalp area. All grafts were performed in just one session. Procedure performed by Dr Sean Behnam.